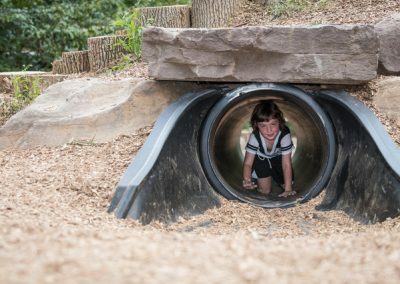 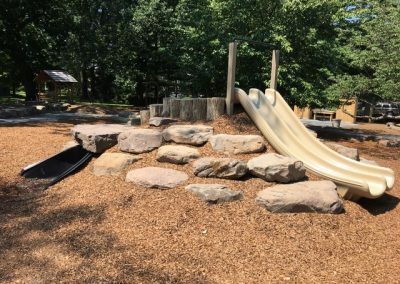 The space uses natural materials like logs, boulders, sand, water and plants to create places for children to climb, contemplate and construct. 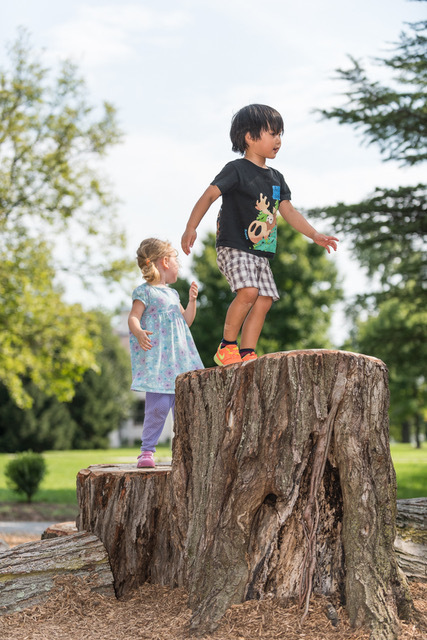 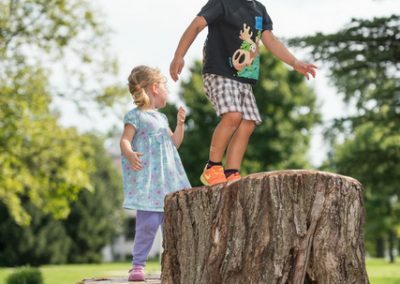 There are tree parts and little hills for climbing, loose parts for building magical forts and fairy houses, sand and dirt piles for digging, engineering, and imagining and an open lawn for running and romping. 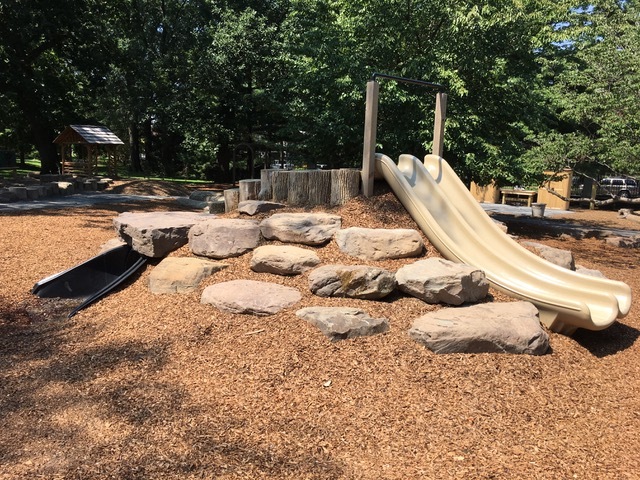 A gravel path for walking and running encircles the space. 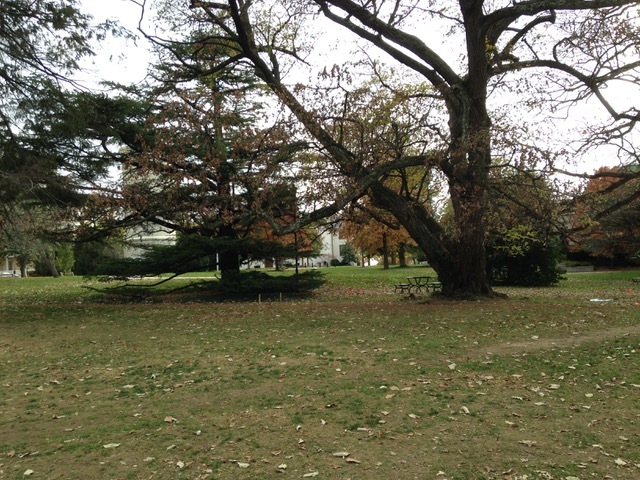 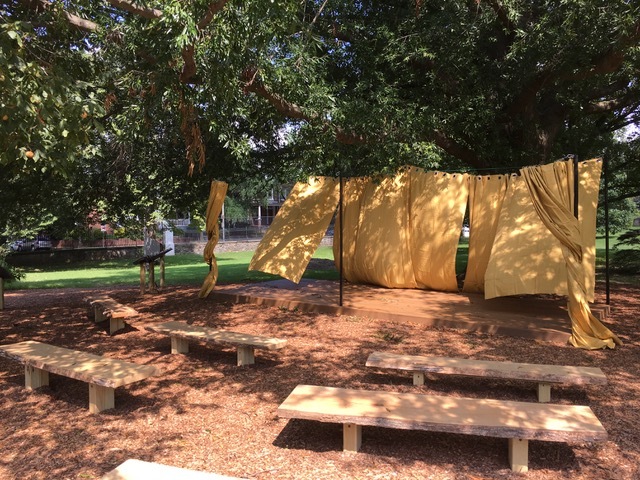 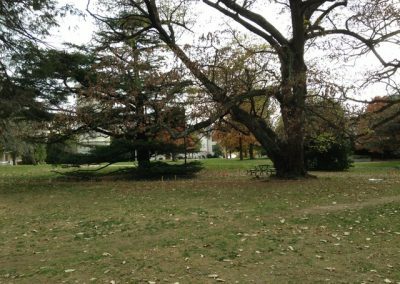 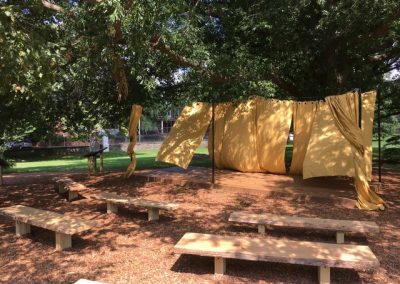 Under the beautiful willow oak there is a rustic stage for performance. 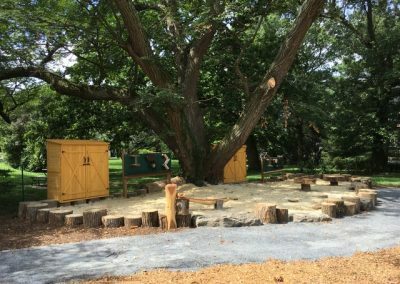 Scattered throughout the shady corners of the space there are swings and hammocks, an outdoor art studio, a gathering of log tables, and a pair of playhouses. 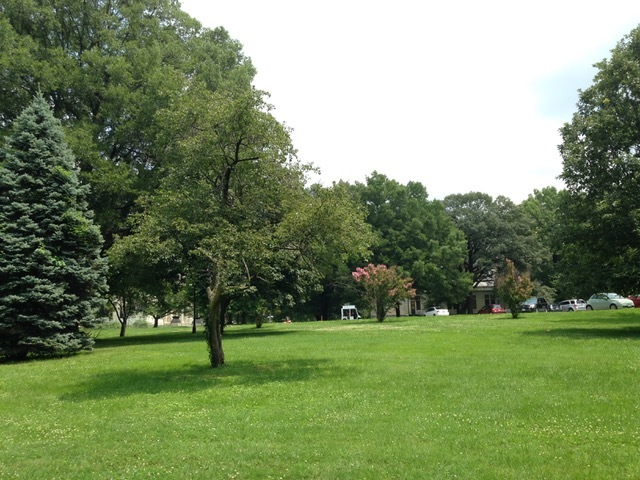 A meadow planting of native grasses and perennials attracts beneficial insects, provides a beautiful focal point, and provides a buffer from the adjacent parking lot. 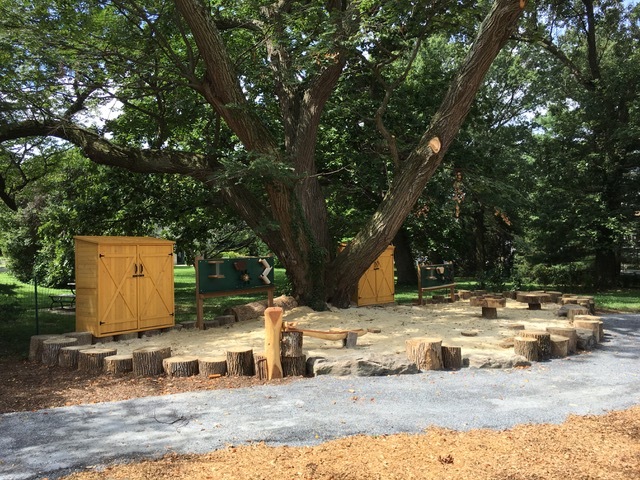 Native trees and shrubs throughout the space provide habitat for birds, and four seasons of color, fragrance and beauty to the site. 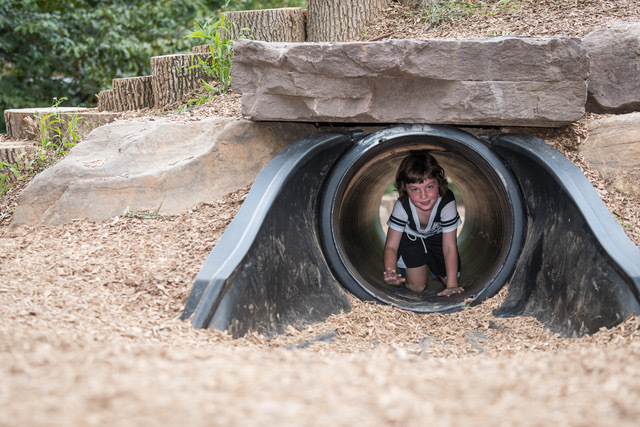 The aesthetics of the design honors the history of the site and brings texture and visual richness to the play area.